In terms of bigger display and improved battery power, Vivo X20 Plus is an upgrade to the Vivo X20. Yes! 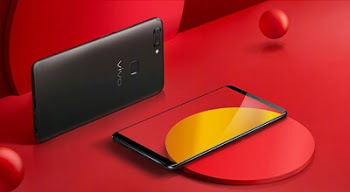 The smartphone sports 6.3-inch super AMOLED display at 1080 x 2160 pixels resolution, and a monster 3900mAh battery specification to keep the lights on. Vivo X20 Plus is expected to cost Rs. 22,000 in China, while the price will be around N120,000 naira in Nigeria, where it will be available both on local retail and online stores. Non-removable Li-Ion 3900 mAh battery.